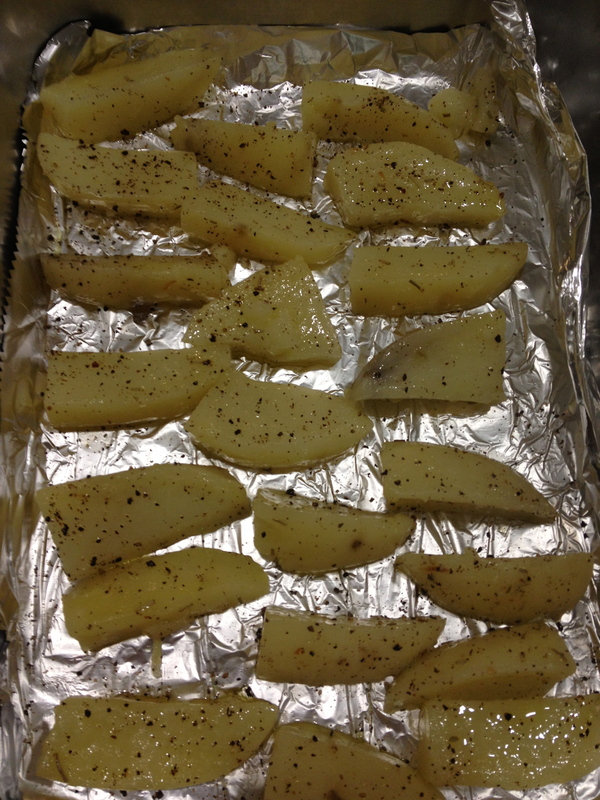 I just finished making home-made oven-baked potato wedges for Bella. I know it is so much easier to just buy french fries from McD and feed B but all this MSG and stuff.. haih.. Tak elok lar.. So, found this super easy recipe on the internet to make my own fries.. and gave it a try.. Step 5: Bake in the over for 30-40mins at 220’C or until it turns golden brown. You can flip halfway through baking to even browning. Taddaaa.. siap! I didnt wait until it really turns golden brown because I’m not good in adjusting the heat.. Nanti hangs, terus keras and B can’t eat.. Hahaha.. Ni pun okay dah, I can taste the garlic with a hint of black pepper. And B loves it! Yay! Posted on September 17, 2012 December 2, 2012 by Dr Halina Mohd YunosPosted in MommyhoodTagged recipe, solids. Previous Previous post: The New Generations..
Next Next post: Latest Craving..
nampak sedap.. 🙂 mesti cuba ni! buat bnyk lebihan for mommy ye…hehehehe..thank you for sharing..will try it soon for myself..nanti je for my ms Hana..
haha! sikit rupanya Bella makan..
Wah!wah! Look tempting la doc! Even it just a POTATO ok!! 😀 me too gonna try this for myself later! nampak sedap la… Dr. , bella dah bleh mkn black pepper ker? bb sy br 11 bulan black pepper n salt tuh dah boleh makan ker?…. I wanna try this for my lil’ boy! ~Huda, FYI, my lil’ boy’s paed said that skit2 of garam + gula dibolehkan, after 1 y.o. thanks for sharing this!!! !you go doc!! Dr Halina, thanks for sharing the recipe!. 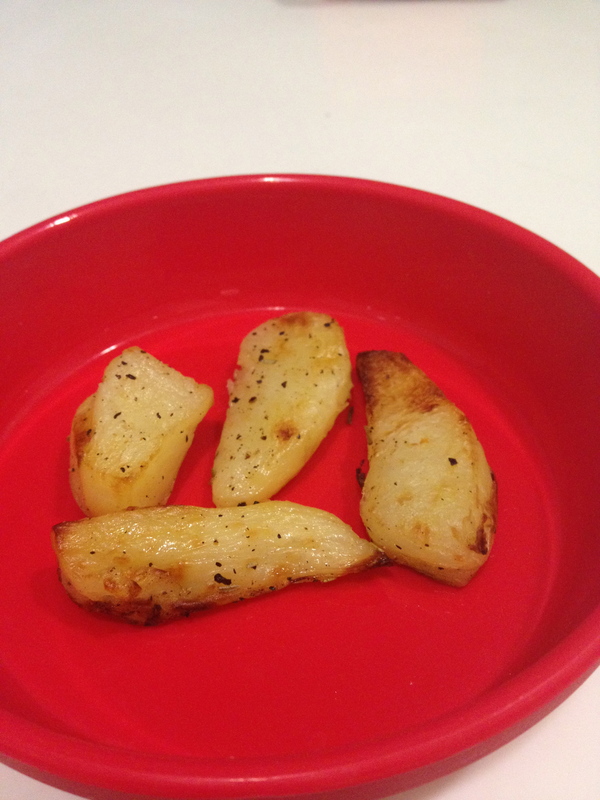 I baked the potatoes for my family and they said the wedges taste yummy esp when they ate them, the potatoes were soft inside. Au match aller, pour la premi��re fois depuis le d��but des ��liminatoires, Valbuena n’��tait pas titulaire. Une injustice, tant le Marseillais fut l’un des Tricolores les plus r��guliers lors de la phase de groupes. Mais un choix qui se justifiait par la m��forme du Phoc��en. Ce mardi, visiblement, il avait retrouv�� toutes ses jambes. Dans un r?le de milieu offensif excentr�� �� droite qui, d’habitude, ne lui convenait gu��re, Valbuena a mis de c?t�� ses r��ticences. Avec intelligence. Hello, I desire to subscribe for this blog to obtain hottest updates, thus where can i do it please help.